Finally! Fans of the friendly neighbourhood Spider-Man can be at peace. 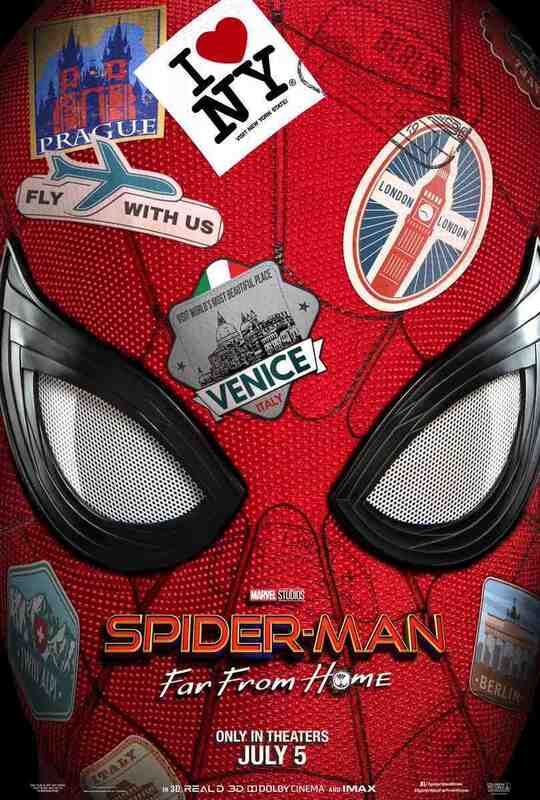 Marvel Studios and Sony Pictures have finally released the mysterious first Spider-Man: Far From Home trailer. Although Spider-Man lead, Tom Holland, teased that a trailer may drop within the week by way of Twitter, nothing materialised. The Spider-Man star told fans publicly that he spoke to Sony (who holds the publishing rights to the film and its pre-release material), and Sony replied with a cute waving emoticon. Needless to say, this got fans (including myself) super hyped for a possible trailer. 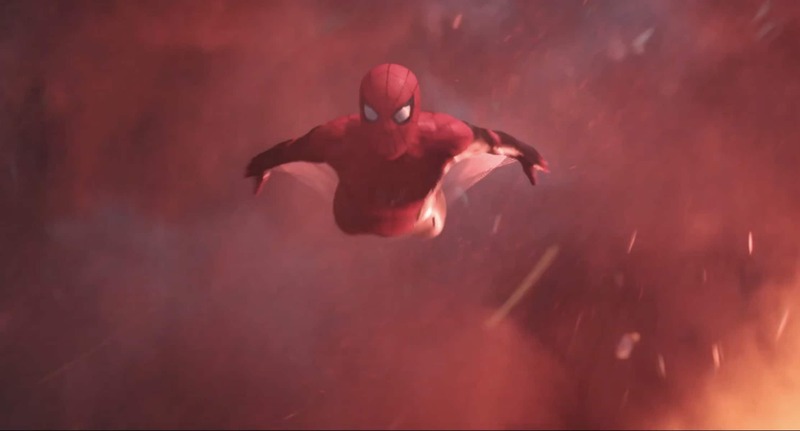 Less than 24 hours later, the Spider-Man: Far From Home trailer dropped in spectacular fashion. The trailer is two-and-a-half minutes of glorious Spider-Man awesomeness. 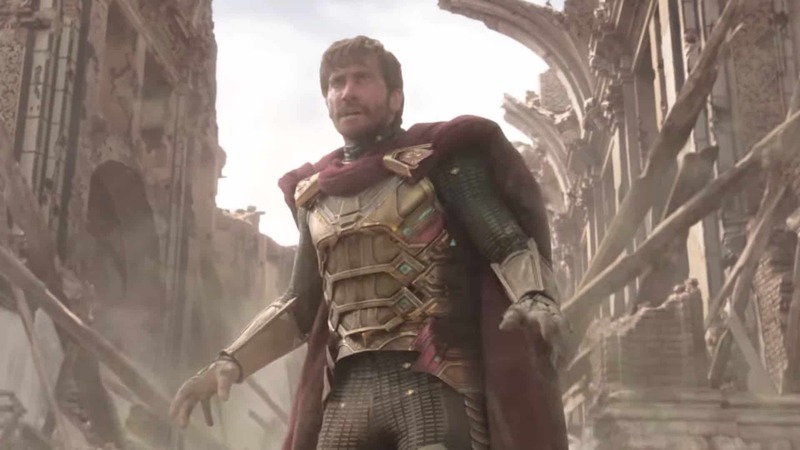 It not only features the highly rumoured black suit that many fans presume to be the Stealth Suit; but also a new variant of the Stark Suit; a bunch of elemental monsters, and, yes, the ever wondrous Jake Gyllenhaal complete with Mysterio outfit. As you can see in the Spider-Man: Far From Home trailer embedded below, the Stark Suit has received a few upgrades. Most noticeably is a design change that features black limbs, and heavy black lines throughout. We all have our own theories as to why these changes exist, and I will go over them below. For now, however, I must also mention that the heavily rumoured “Stealth” suit is obviously also in this trailer. The only issue is that it only gets like three seconds of airtime. So you need to have eagle eyes to spot it! Of course, what would a good Marvel trailer be if it does not include a glimpse of the villain? Well the Spider-Man: Far From Home trailer does not disappoint. It offers our first full look at a villain who has not yet been seen on the big screen. Better still, he is in all of his classical-suit-inspired glory. Hello there, Mysterio! Jake Gyllenhaal is the supposed big bad this time around, and he looks astonishing as the scientific mastermind and classical villain. There is one snag, however. 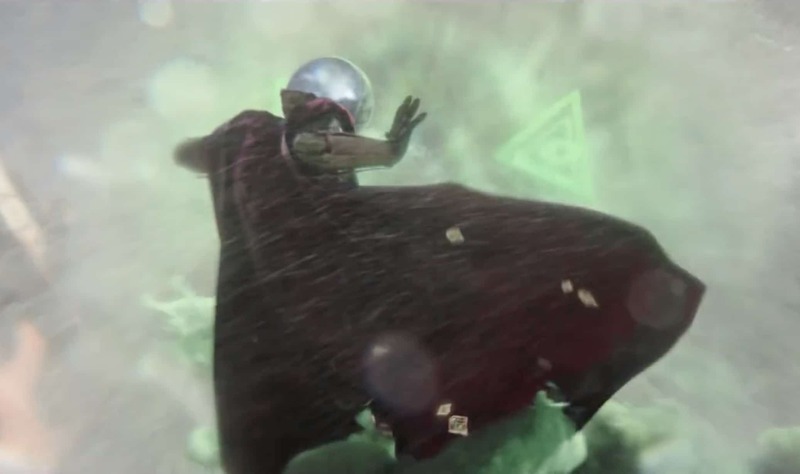 In the Spider-Man: Far From Home trailer, it seems as if Mysterio is being set up as a hero of sorts! It showcases him fighting the elemental monsters, and “saving the day” as it were. It is no secret that Peter Parker is in Europe, and that Mysterio likely acts as a hero in these parts. However, knowing the villain’s history with Spider-Man, something tells me that Mysterio is actually the one creating these monsters, only to defeat them himself. This is a common trope used in television series where the villain is a Heroism Addict. I am quite intrigued to see what the film will be like and if this is actually the case! 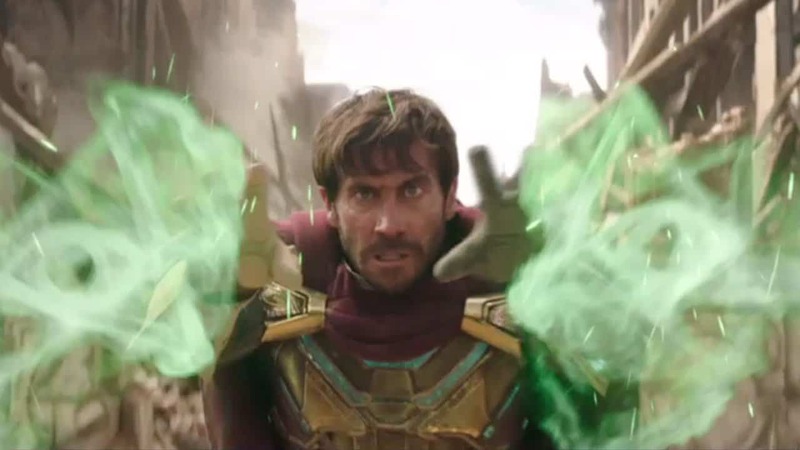 Regardless of Mysterio’s status as villain or ally, however, the trailer also shows a budding… something? Between Mary Jane and Peter Parker. There are hints of a relationship going on between them. However, considering their age, I can only say that a certain someone else might be entering the scene in the third movie or so. Needless to say, it is nice to see the two actually interact in a meaningful and normal way. Especially when compared to their awkward interactions in Spider-Man: Homecoming. Alright. From here on out, I will actually be addressing some theories pertaining to this film and trailer. As such, be aware that spoilers for Avengers: Infinity War are incoming. Absolutely nothing in this Spider-Man: Far From Home trailer tells us whether the film takes place before, or after Infinity War. This is not a bad (or good) thing in and of itself, but it certainly does make one wonder. At the end of the last Avengers film, Doctor Strange, Iron Man and Spider-Man took Thanos on together; with some help from the Guardians of the Galaxy. At the end of the film, the famous Snap, or as it is officially called ‘The Decimation’, takes place. In this process all, but Tony Stark and Nebula, survive. Naturally, this means that Doctor Strange, Star-Lord, and yes, Peter Parker, are all washed away in the wind as they turn to literal dust. Not only that, but the post-credits scenes of Ant-Man And The Wasp, and Guardians of the Galaxy 2 also depict a few key characters’ Decimations… some of whom are alive and well in this trailer! Among them, the most prominent surprises were Nick Fury and Spider-Man himself. This means that something happens sometime between the events of Avengers: Infinity War, and this Spider-Man: Far From Home trailer. What is certainly very plausible, is that the movie takes place before the events of Infinity War. However, the reason I think that it chronologically takes places after even the next (and yet unreleased) Avengers: Endgame, is twofold. Firstly, the trailer has a surprising lack of Tony Stark. 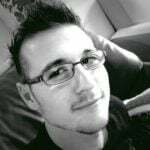 Happy even goes so far as to tell Parker that he is “alone” in all of this. 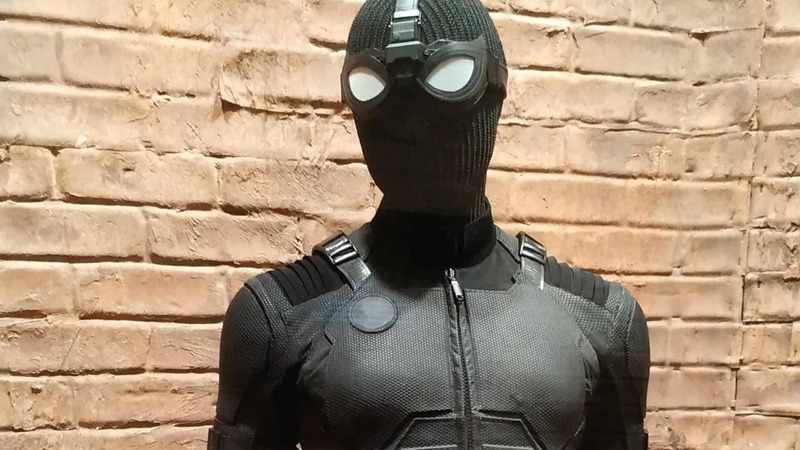 Secondly, there are rumours that the black designs on the Stark Suit are there to pay homage to Tony’s status as missing in action. Whatever the case may be, the fact that the Spider-Man: Homecoming trailer has been released before Avengers: Endgame, has a lot of fans (including myself) up in a stir. This would be the very first time that Marvel has essentially ‘retconned’ the ending of one of their biggest blockbusters – a film that released less than a year ago. If that is not the case, and Peter and Nick being alive are explained in the movie, kudos. If not, and at the very least until Avengers: Endgame is released, this marks a first in current Marvel Cinematic Universe history. I guess that only time will tell. Until then, it is best to enjoy the Spider-Man: Far From Home trailer for what it is.